Bow Tie is a classic design that is fun to make! Traditionally it involves "Y" seams, but not with this method! METHOD: "Zigzag Applique" - this is EASY! Just stitch, trim, turn, fuse, and zigzag. Use 6" squares for the background and on-point ties, or use 6" squares for the backgrounds and 5" x 9" for the ties. 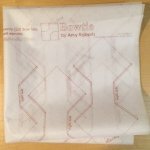 FIRST TIME USERS - Purchase this "Pack" first which includes instructions and interfacing! Additional panels are available separately for more or larger projects. 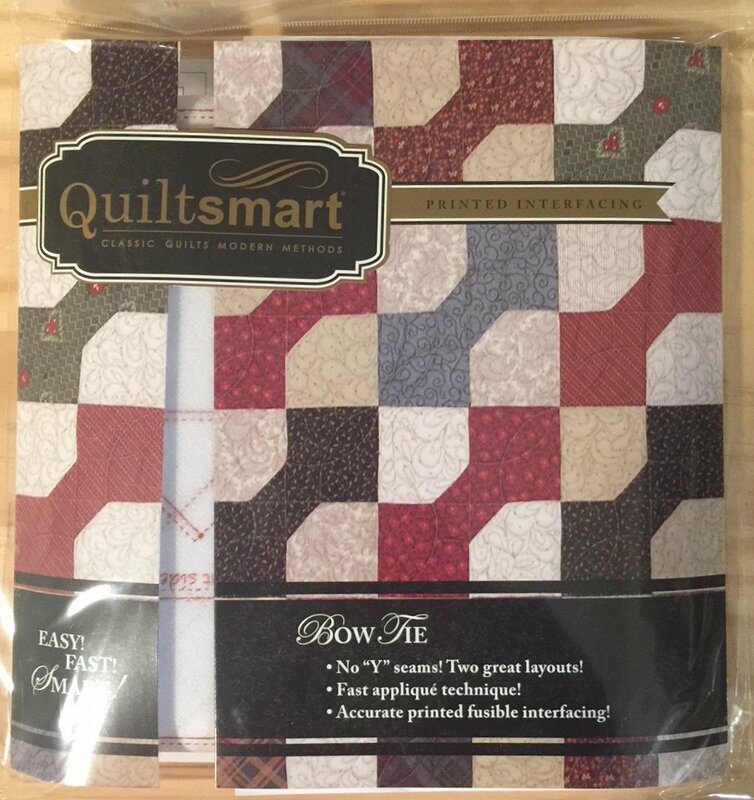 Comes in a 9" x 9" pack with 5 panels of interfacing & instructions to make 2 great layouts or create your own layout. CLICK on the IMAGE to the left, then click through the side arrows (use your cursor to hover over the side of the image) to see enlargements of the thumbnails below!